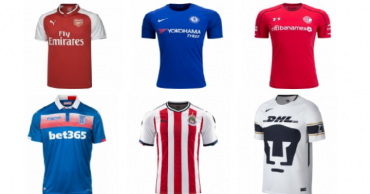 Soccer Jersey Shirts Only $16.99 Shipped! Plus, $10 off $50! Soccer Fans! 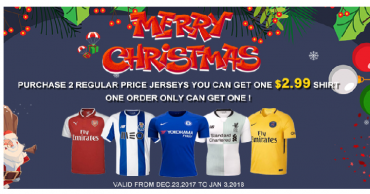 Buy 2 Soccer Jerseys, Get a Soccer Shirt for Only $2.99! Plus, $10 off $50! WOW! 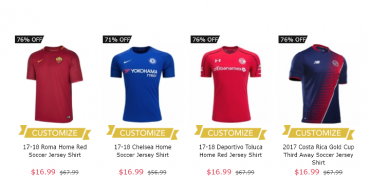 $16.99 Soccer Jersey Flash Sale & $10 Off Orders Of $50 Or More!